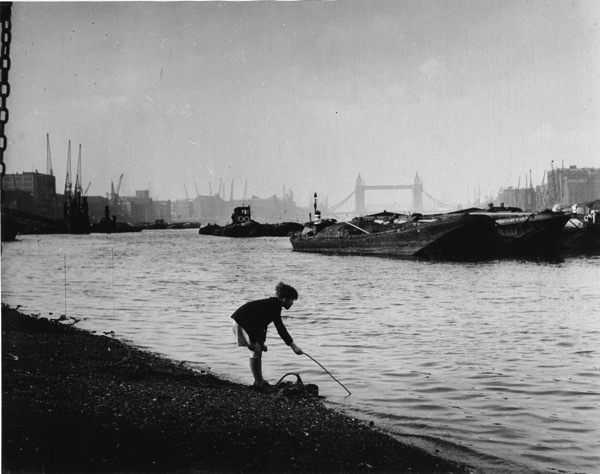 When Stefan Lorant came to London and established Picture Post, he revolutionised photo journalism in this country, establishing a format that endured long after he stopped being editor in 1940. The unique character of Picture Post was its ability to tell stories through a balance of photography, captions and text which was immediately accessible to all readers. It reached a circulation of nearly two million and, at the peak, it was estimated that it was read by nearly half of the adult population of Britain. 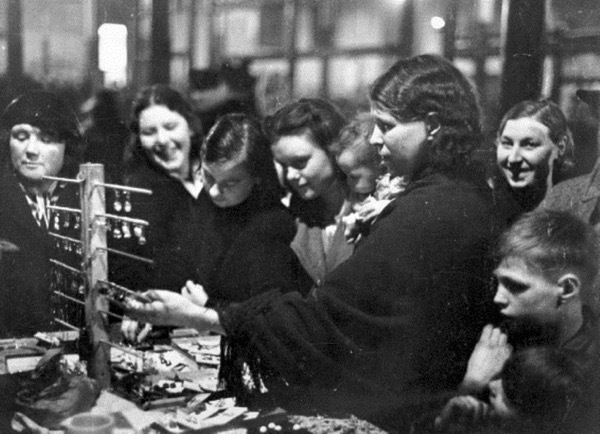 Lorant’s publications (Weekly Illustrated, Lilliput, Picture Post) gave exposure to many well-known photographers including Brassaï, Bill Brandt and Henry Cartier-Bresson, as well as less well-known but equally accomplished photographers such as Kurt Hutton, Wolfgang Suschitzky and Thurston Hopkins. 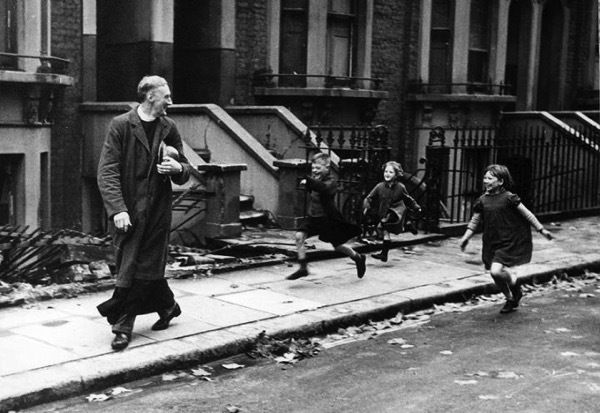 However, if one photographer encapsulated the spirit of Picture Post it was Bert Hardy. Hardy was a firmly grounded and talented documentary photographer. 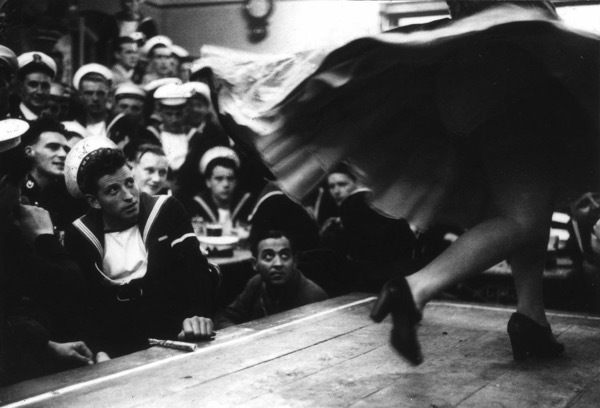 The strength of his work lay in his ability to capture a moment, put people at their ease, marshal a crowd, and get in there and take the photographs that others would miss. By all accounts, he was a photographer who would run toward danger rather than from it if that was needed to get the photograph. 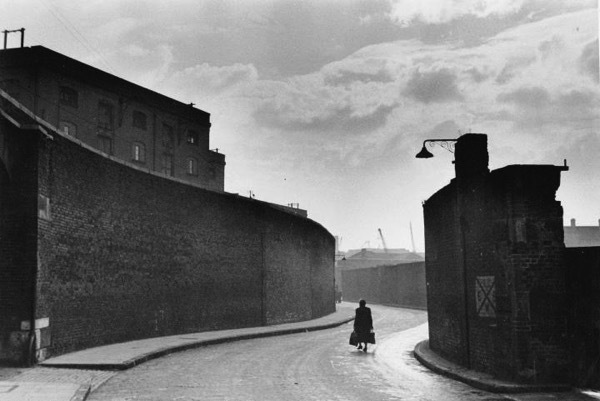 Born in May 1913 in Priory Buildings, Webber St just off the Blackfriars Rd, Bert Hardy’s personal confidence and courage was legendary, which perhaps came from being the eldest of seven children and growing up as a Cockney in early twentieth century London. He left school at the age of fourteen and worked for a developing and printing company. This was the start of a long and remarkable career working with film, first as a developer and printer and then as a self-taught freelance photo journalist. Shortly after beginning work at the Central Photographic Service, he decided to do his own work on the side and set up a processing unit at home. Then he decided to try his hand at photography, having heard that it could be quite lucrative. He purchased an old plate camera from a pawnbroker and that was the beginning of his photographic career. His first commercial photograph was of the King and Queen on Blackfriars Rd, where he famously used his sister’s head as a rest for the heavy plate camera. After selling two hundred copies of the picture as a postcard, Hardy decided that photography was for him and began photographing people in pubs, on outings and on the street, then selling them the pictures as a way of making money. 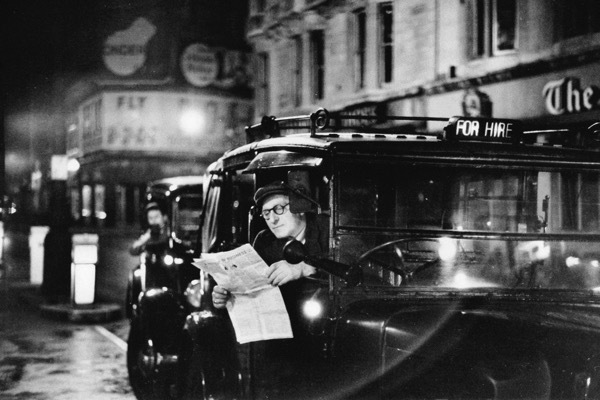 As his career developed, it became clear that Bert Hardy was a natural with a camera and this was complemented by his easy way with people and his bold approach to getting a photograph. 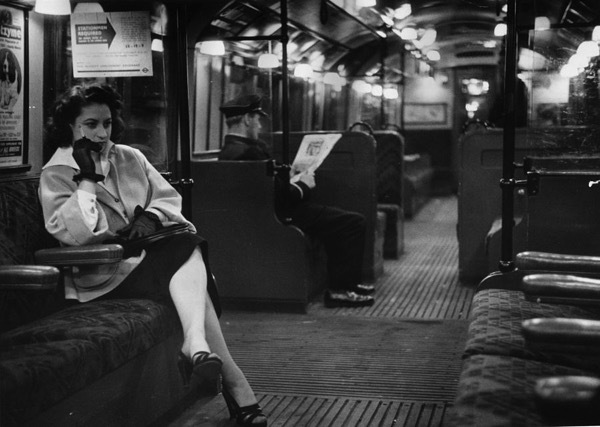 In 1936, he began working as a freelance photographer with the General Photographic Agency and his photographs began to appear in the Daily Mirror, Weekly Illustrated, and the Illustrated London News among others. Many of the photos were unattributed with the photographer simply being recorded as a ‘stringer,’ yet his reputation began to be established quite early on as someone who enjoyed working under pressure and could produce quality photographs quickly and at a high volume. By 1940, Bert had become a rising star at Picture Post and a whole series of commissions followed, leading to him becoming their top photographer. 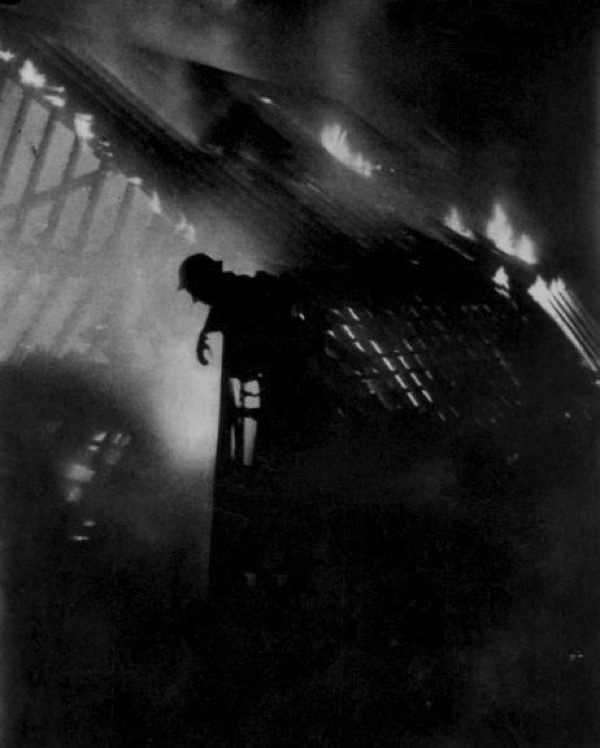 He risked his life regularly when photographing the Blitz in London and captured a whole series of photographs of the city burning and of the heroic firefighters dealing with the aftermath. 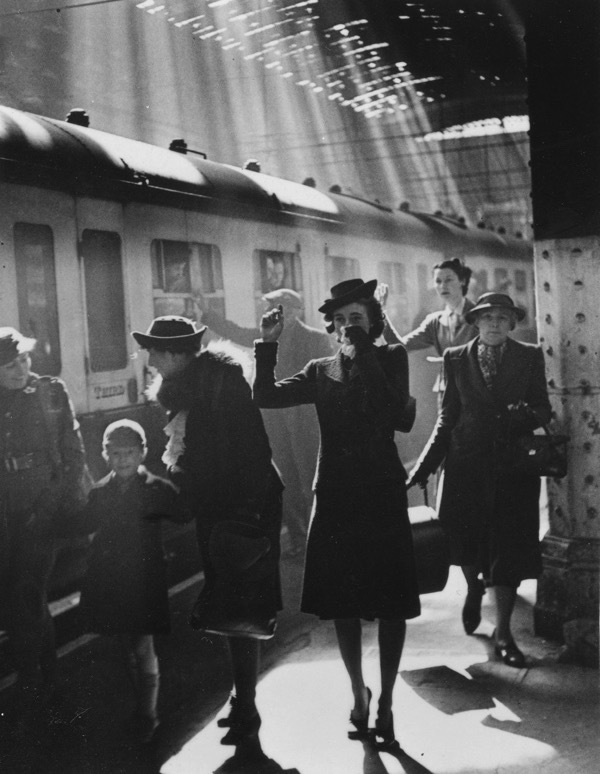 It was an approach that defined him as a photographer both in London and when covering the Second World War in Europe (he was a sergeant in the British Army Film Unit from 1942 to 1946) as well as wars in Korea and elsewhere. In retrospect, his work now provides us with a unique record of everyday life in London and elsewhere. 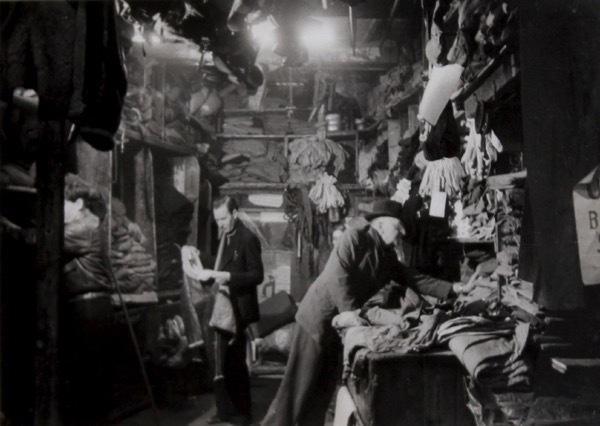 In particular, his series Life in the Elephant has a quality reminiscent of the work by John Thomson in Street Life in London some seventy years earlier. Bert Hardy had an empathy with his subjects that draws out their humanity and you feel as though you could step through his photographs into the scene. 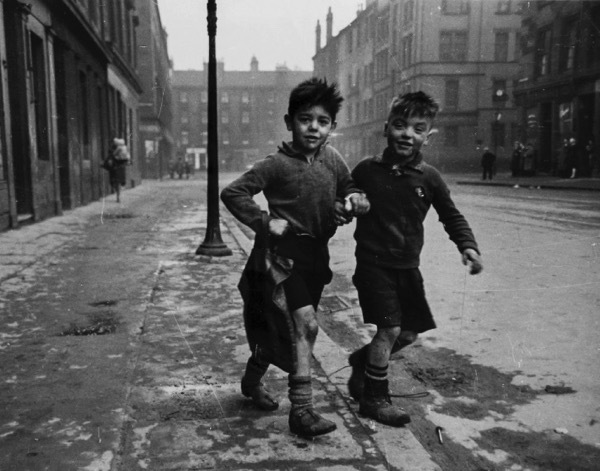 Bert Hardy’s photographs of the Gorbals in Glasgow in 1948 were one of his most striking series. He was sent there by the Picture Post along with Bert Lloyd to do a follow-up of the commission that was originally given to Bill Brandt. 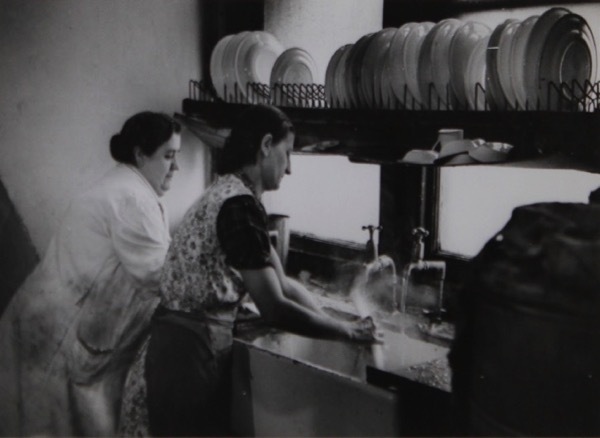 Brandt’s photos were considered too abstract and did not show to the genuine poverty of the area. Picture Post needed someone with a different approach to bring out the essence of the Gorbals. 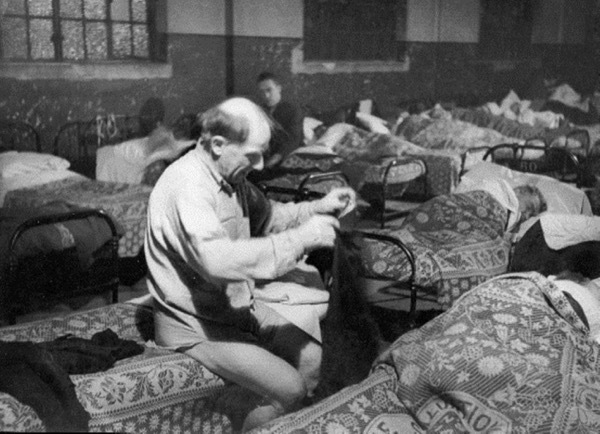 In typical daring fashion, Bert Hardy persuaded the locals to let him photograph some of their living conditions directly. As always, he had his camera pre-set to middle-distance focus – just in case he spotted a potential photograph – when he suddenly came across two urchins in the street. 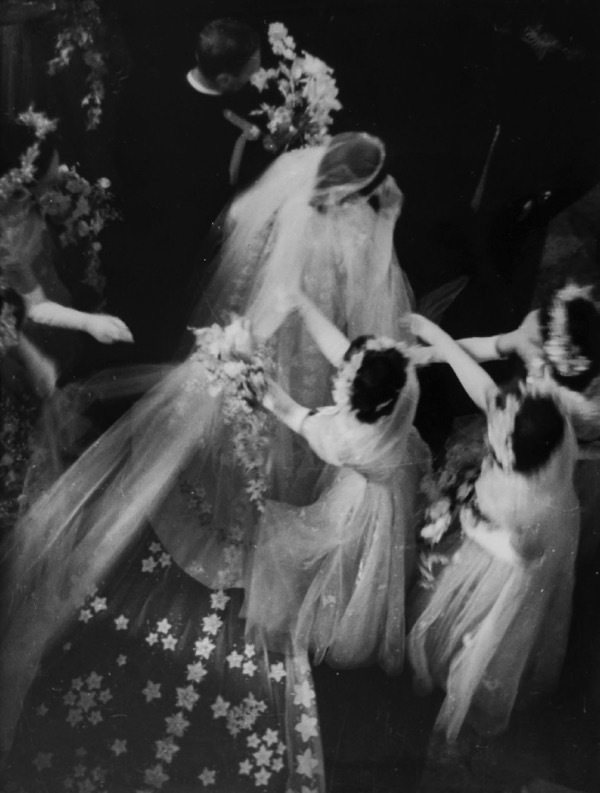 This became the defining image of that series and won a prize from the Encyclopaedia Britannica. 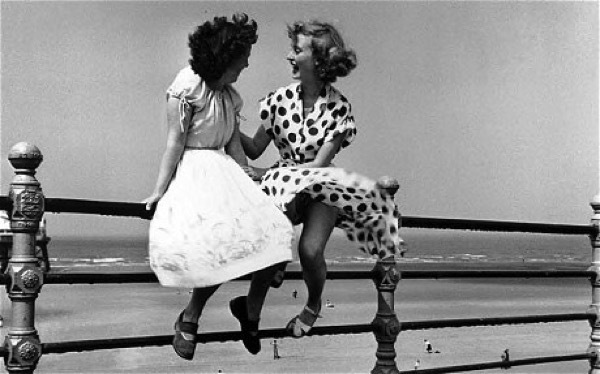 The woman in the spotted dress was a ‘Tiller Girl’ called Pat Stewart who was wearing a bathing costume under the dress. 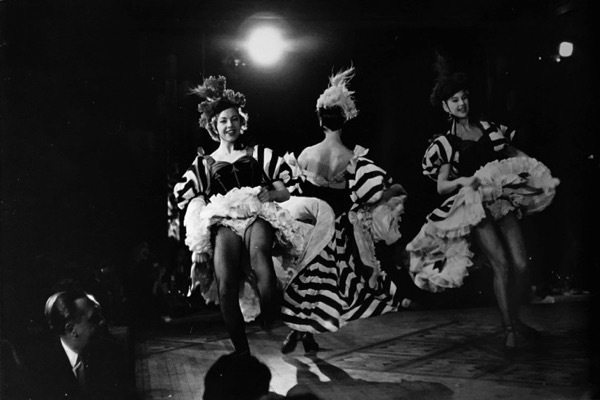 The striped costume was prominent in the original photograph and was airbrushed away in the darkroom leading to much speculation as to what she was wearing under the dress, if anything at all! The picture has become one of those that is often reproduced without being attributed to the photographer. When Edward Hulton took over as Editor in 1953 it was the beginning of the end for Picture Post which went into terminal decline, closing in 1957. 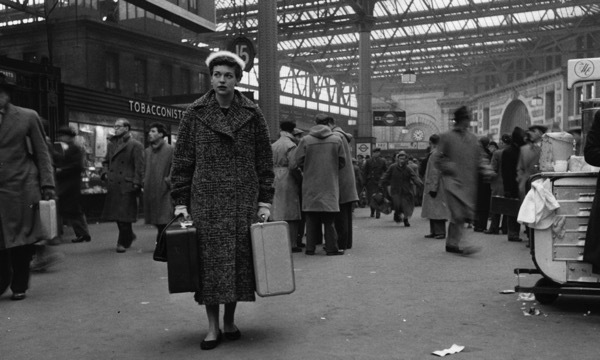 It was the close of an era for photo journalism in Britain. Hulton blamed its failure on the arrival of television but poor editorial decisions by him and a change of focus in 1953 were significant factors. Although he was kept on doing other work for Hulton publications, Hardy moved into photography for advertising where he had great success and work flowed in. Then, in 1964, Bert Hardy chose a complete change of direction and bought a farm in Oxted, Surrey. He still kept his printing business going but became a farmer and lived on the farm for the rest of his life. Even as a farmer, he still lectured on photography and was also made a Fellow of the Royal Photographic Society. 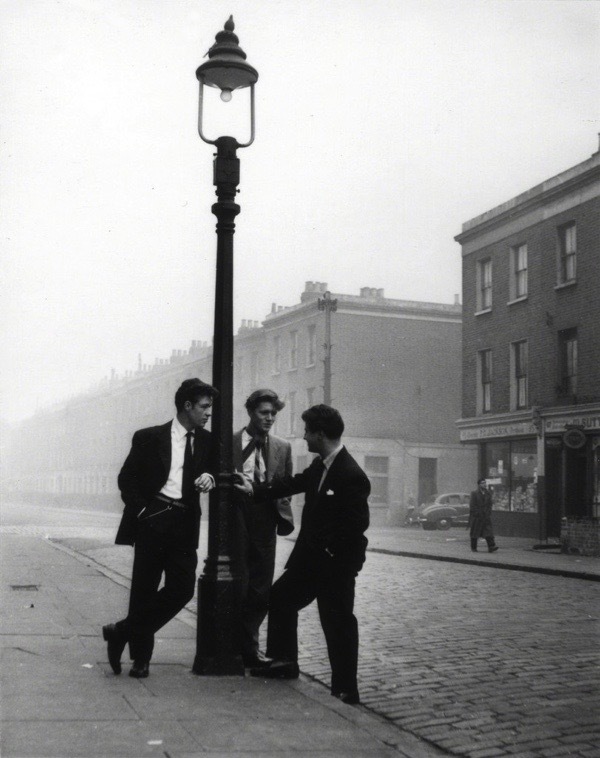 By all accounts, these were happy times but London had lost one of its most influential photographers. In 1995, he suffered a heart attack which proved fatal but his spirit lives on through his work which has stood the test of time. 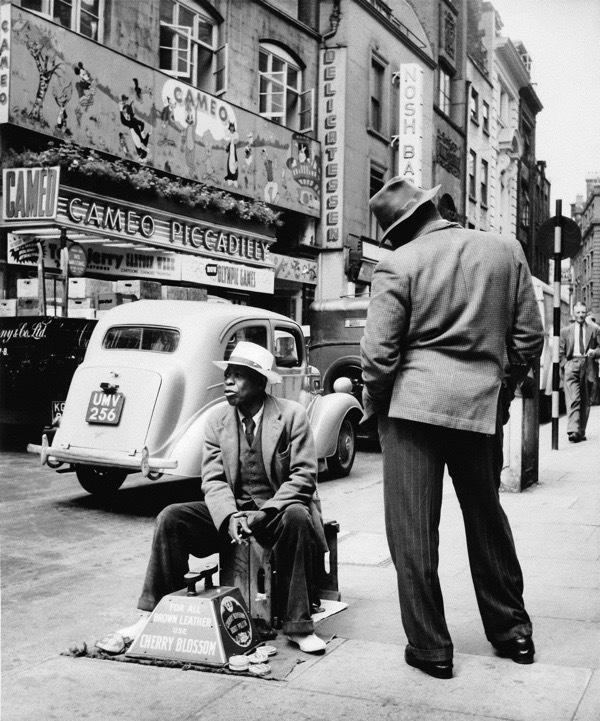 Like the work of other truly great photographers, Hardy’s work has passed into our consciousness, as if it had always been there, somewhere, half-recalled and then re-encountered like an old friend. 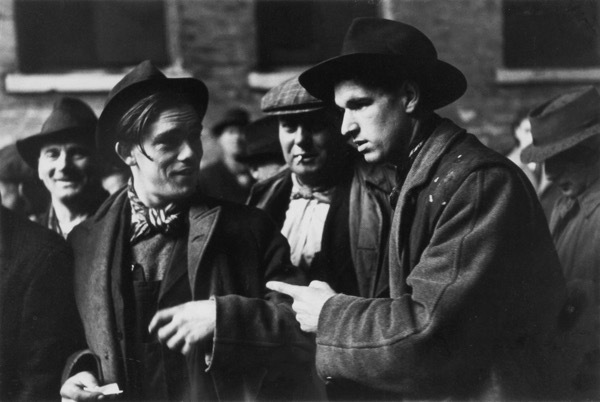 The Gorbals boys, Blackpool, Waterloo Station – they’re as timeless as Ansel Adams’ ‘Moon and Half-Dome’. It’s astonishing to me to think that he passed away as recently as the mid-90s. Yes, I very much agree with what Jim McDermott says. 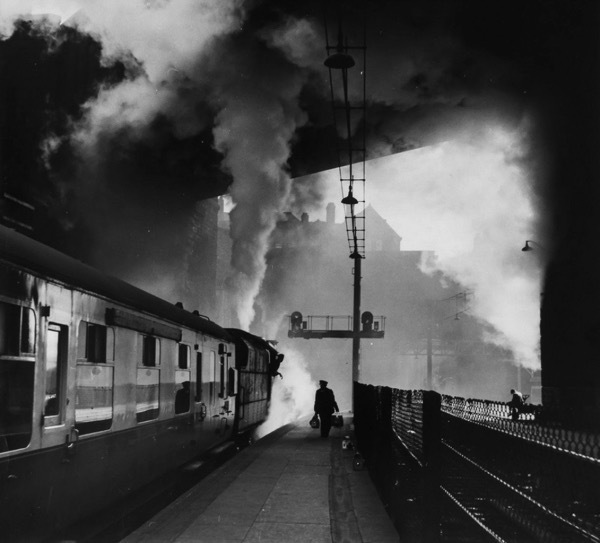 Gentle Author is always amazingly interesting and fascinating andthis blogonBert Hardy is more than wonderful. I am 93 and you can only imagine what joy it brought me …..
Lovely to see a photograph of Father Joe in today’s Gentle Author, I have fond early childhood memories of Father Joe when he used to bring groups of ‘his girls’ down to my home village of East Wittering near Chichester in West Sussex, for a summer holiday. He always came into my Dad’s garage for a chat. It would be lovely if you could write an article on this truely remarkable gentleman. My dad grew up round Cable Street and was from a Catholic family. He told me how they were all scared of the nuns who used to just march into their flat to see their widowed mum! He left school at 14 and eventually became a docker. wonderful evocative images. many old black and white photos rely on their subject matter for their effect but bert had a genius for getting inside the skin of who he was photographing. I was lucky beyond belief to have been given some of his darkroom gear after grove hardy closed. I was lucky enough to meet Bert Hardy in 1988. He was then kind enough to take pictures of my wife, and our two young children (with his Leica!). He was an excellent raconteur, and a complete charmer with a rascally wit. A really lovely man. Cracking photos. The iconic Gorbals Boys is such an iconic image now. Katherine Whitehorn was so photogenic. I am wondering if Hardy took the other photo of her I know of her sitting in her flat in a fifties flaired skirt which was used as a book cover in the 90s.